If you buy The Chronicles of Riddick DVD movie and participate with the contest inside you have a chance to win one of the 50 Xbox prize packages. 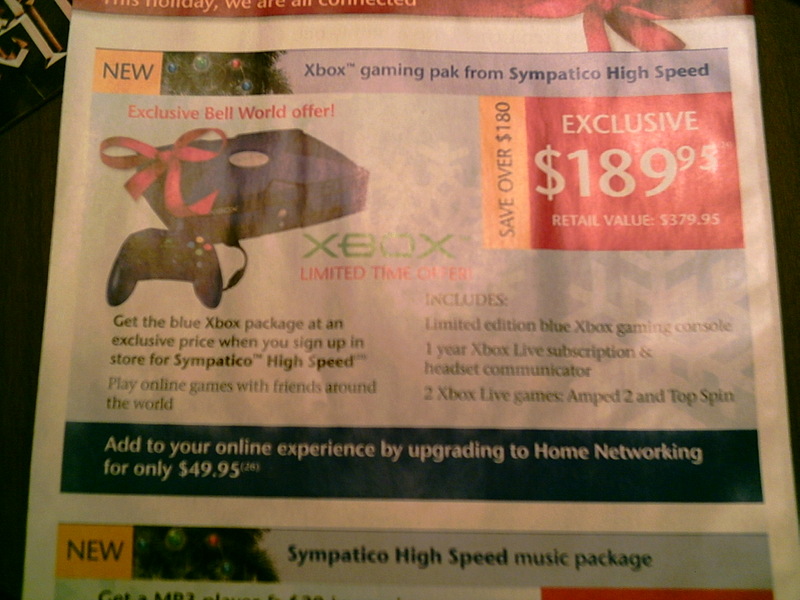 You can also buy this Blue Xbox in Canada if you sign-up for a 12-month 'Sympatico High-Speed' contract as you can see on this printed ad. 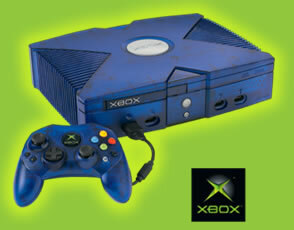 One last method I found to get one of the these SE blue Xbox, is to check out the 'The Holiday Game Squad' when they are coming in a town/store near you. There you can sign-up for the 'Ultimate Gaming Giveaway' for a chance to win a SHARP 37" AQUOS LCD and a LE Blue Xbox gaming system. Get the jump out of the gate and grab the holeshot. Take the inside line as you battle for 1st place against 7 other riders pushing your bike's power and handling to the limit! Accept the MTX: Mototra..